Nothing beats a welcome home sign than seeing it in a language familiar to you. This is even more meaningful when you are in a foreign land. 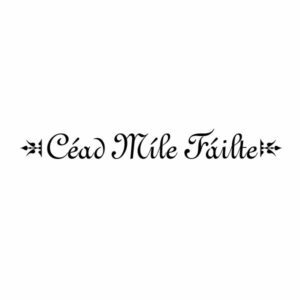 ‘Cead Mile Failte’ is a traditional Irish welcome. 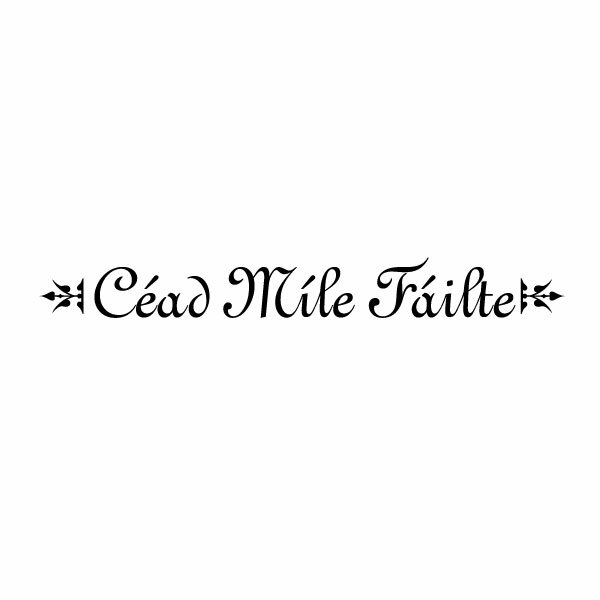 These wall words, translated to English mean ‘One hundred thousand welcomes’. They are a breath of fresh air! These look great above A grand staircase, above the entry door in the foyer and on any wall space in this room. Our wall quotes come pre spaced so that its easy for you to apply them. ordering them is easy. Visit our web site: it’s user-friendly. The previewer is ideal. It will help you to confirm whether you have made the right size, color, and style selection for your walls. Once you submit our designers will take it from there. Are you looking for wall lettering to decorate the walls in your home? At DecorativeLettering we have wall letters that will turn those walls into works of art. This one is French and will encourage many a traveler. Our products are durable: they are not affected by extreme temperatures. You will be able to enjoy them every season for many years. Sign up for our customer awards program and earn points with every purchase. Redeem your points or gift them to someone: our wall words make excellent gifts! Do call or email: we would love to help you make your guests feel right at home!